Voted top 4 Best Bite Sweet Treat, Seen on ABC's the Chew. 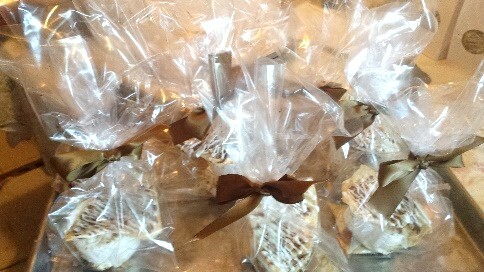 White corn tortilla chips with milk, white chocolates and almond butter toffee pieces. Mint 4 Me Minty, dark & seriously delicious. 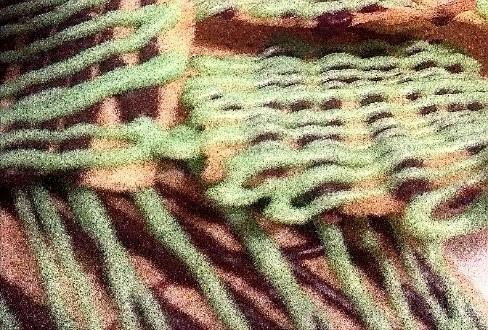 Cool mint deep dark chocolate drizzled on white corn tortilla chips - Bliss! Why not Pink? 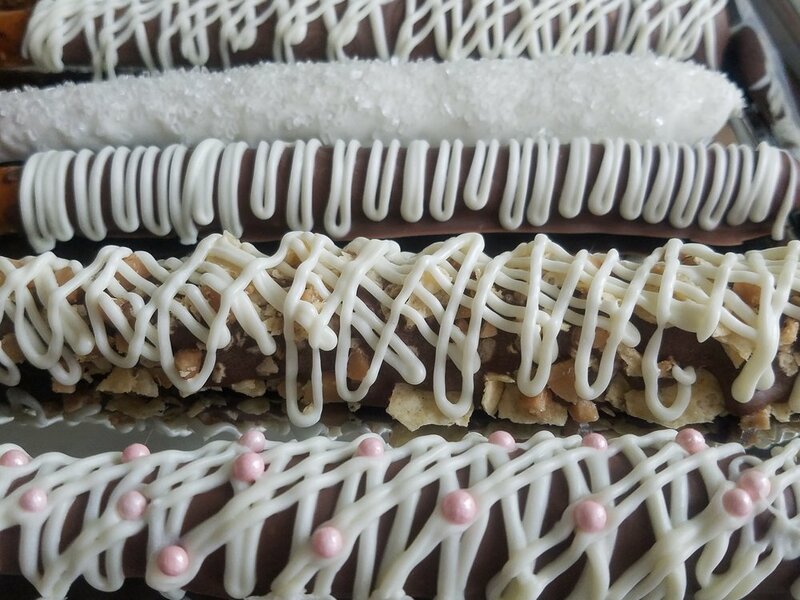 Same flavor you love with original Signature Blondies added with pink chocolates. 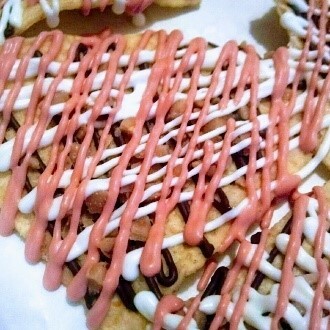 White corn tortilla chips with milk, white,and Pink luscious chocolates sprinkled with almond-butter toffee toppings. A tangy sweet treat just like a cream sickle. White corn tortilla chips with drizzles of luscious citrus orange and vanilla white chocolates. Just like you remember summer to be. All of the best sweet and salty taste of our Signature Blondies, anchors a gently fire roasted Giant Marshmallow with a touch of rich caramel for perfection. Invite Autumn in with fall candy sprinkles adorn the Signature Blondies. 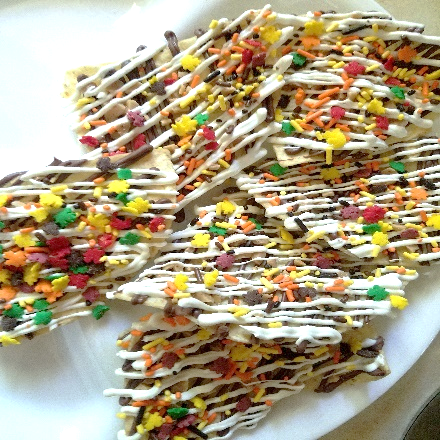 White corn tortilla chips with milk and white and Pink luscious chocolates sprinkled with almond-butter toffee toppings.